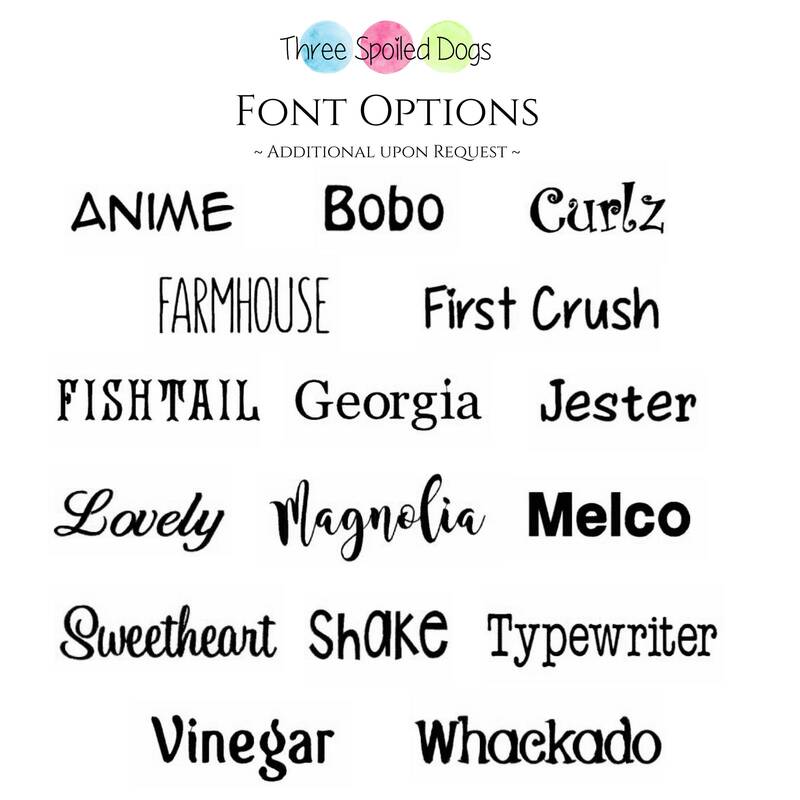 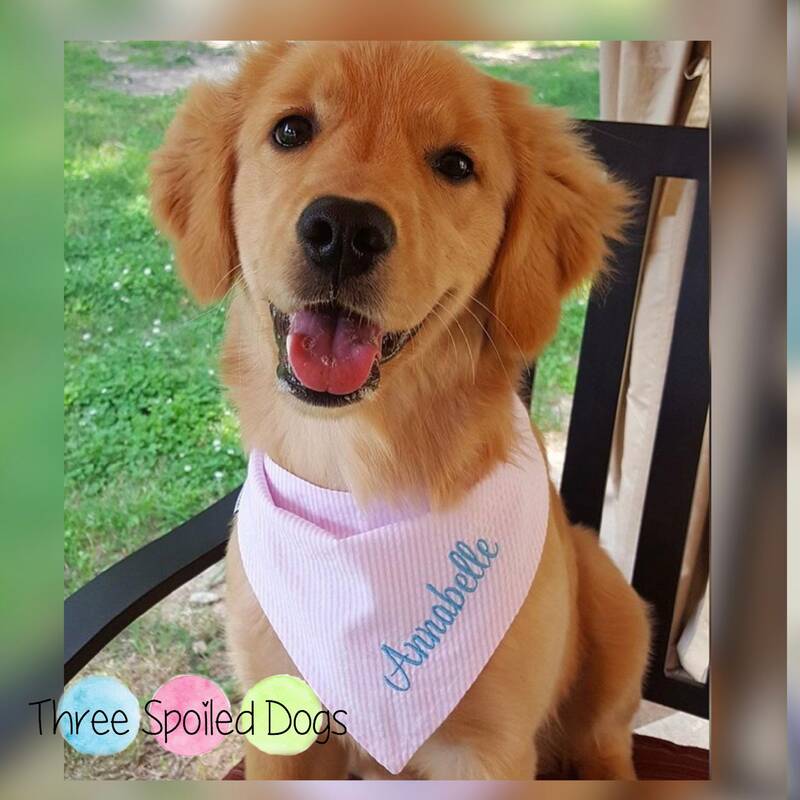 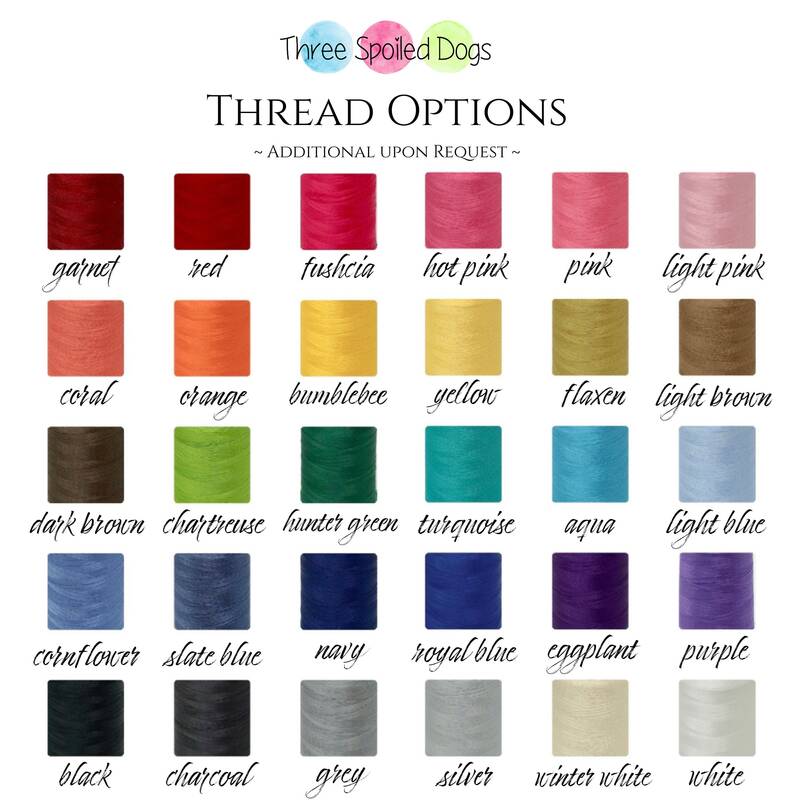 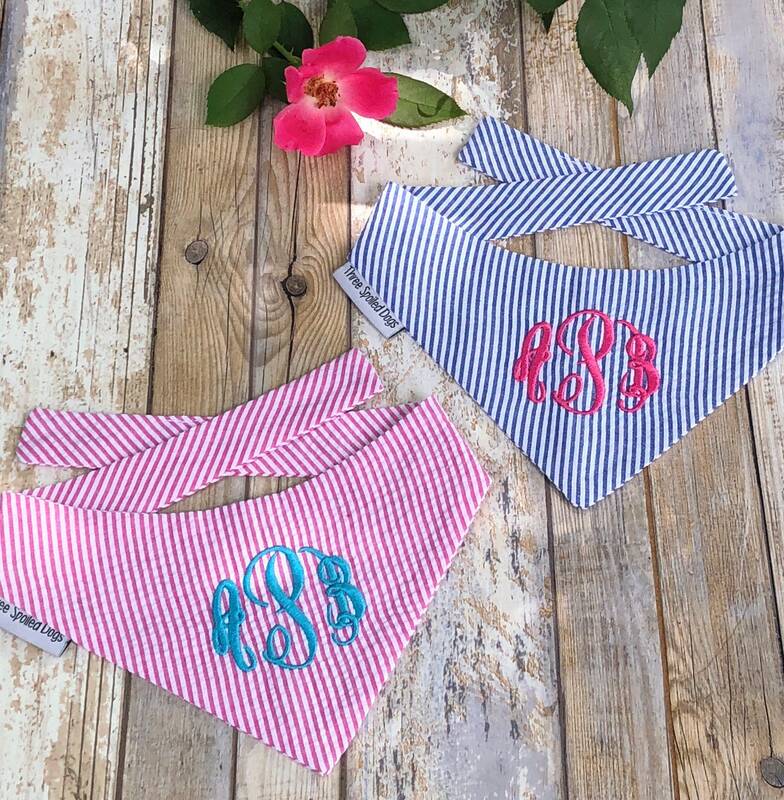 💫 Three Spoiled Dogs offers unique and stylish bandanas designed and finished to be reversible so you get two beautiful bandanas for the price of one. 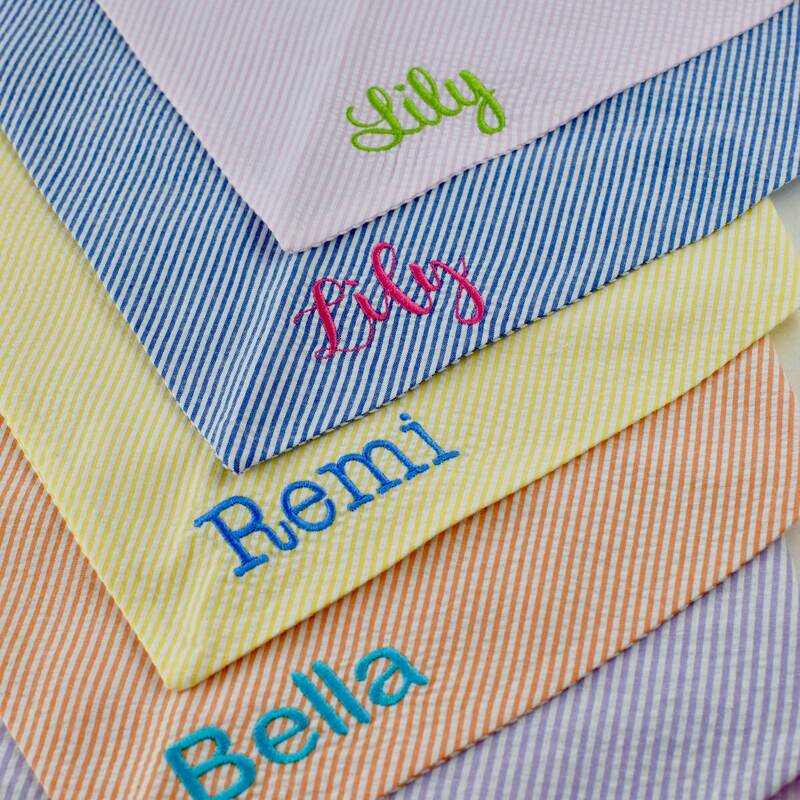 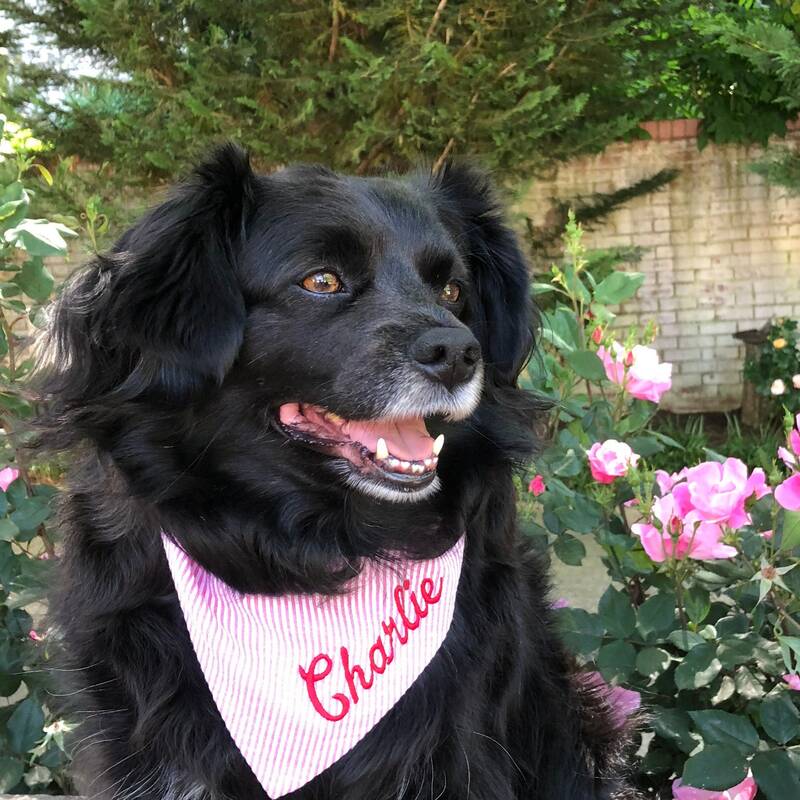 Our bandanas can also be embroidered with your pups name! 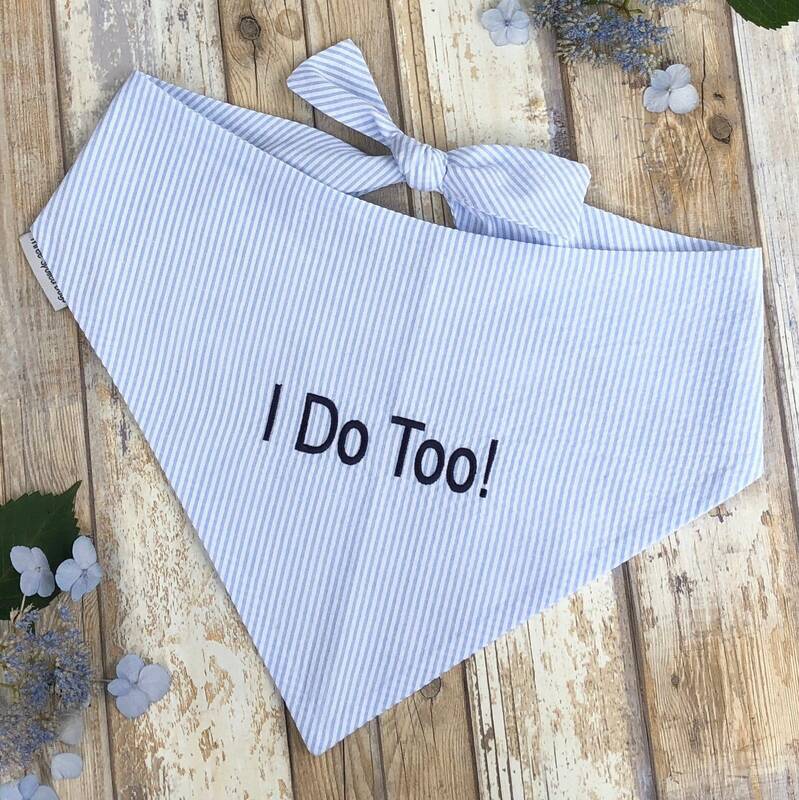 We absolutely love this bandana for our pup! 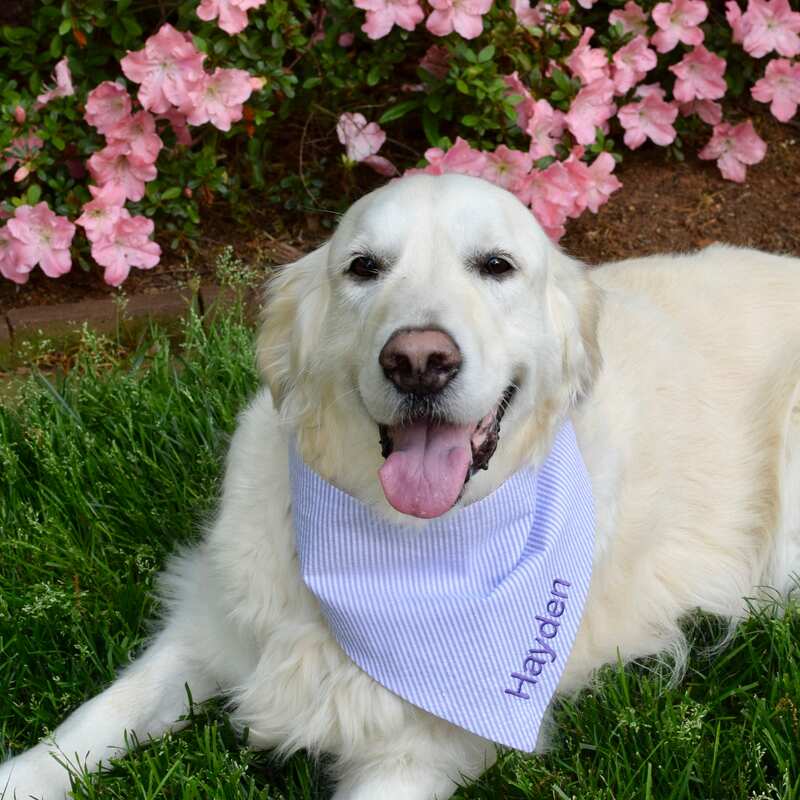 We love our new bandannas. 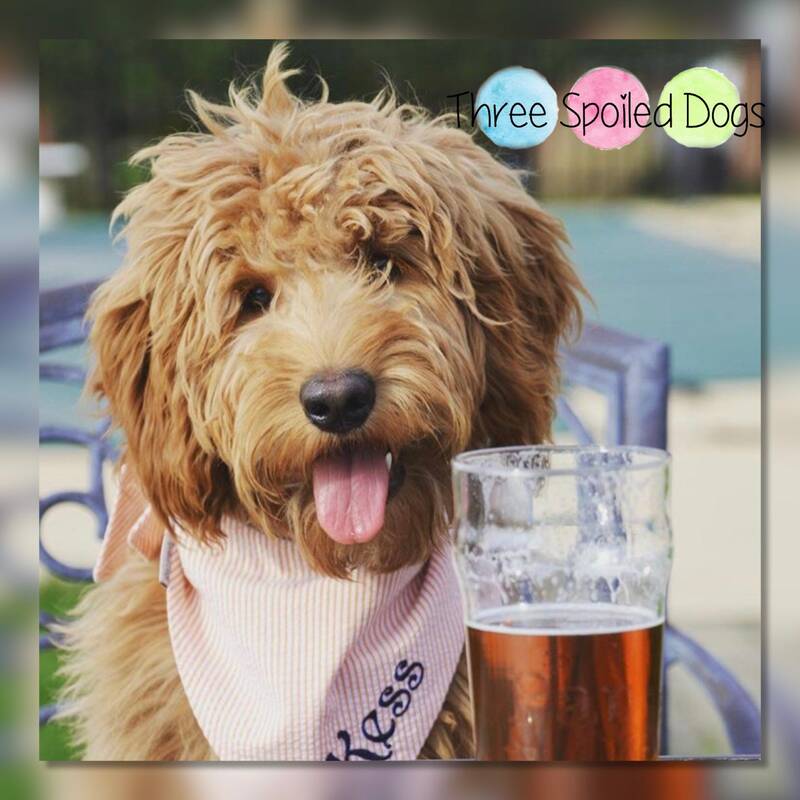 We hope to post a pic on Instagram soon so you can see the fruits of your labor. 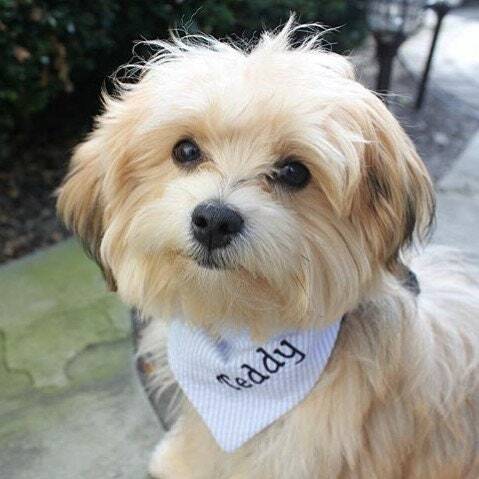 We don't actually have our third dawg yet, but we WILL take a family pic sometime this summer in all of our finery!